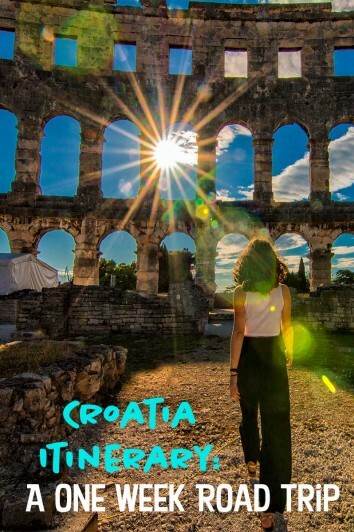 Dripping with mind-blowing natural beauty, adorned with some of the most attractive hillside towns and lively cities, offering a bit more wallet-friendly prices than Western Europe, and teeming with everything a traveler could desire when galavanting through a country… This is Croatia. Croatia has been a destination high on my list. I’ve been dying to explore this are of Europe for quite some time and Croatia is probably the easiest country to hop into when exploring that region of the world. When the time came to actually go, you couldn’t slap the smile off my face. Finally! Here is one of many ways you can spend your one week in Croatia! I chose a road trip as renting a car isn’t too expensive and it’s an easy way to explore more when you’re shorter on time. 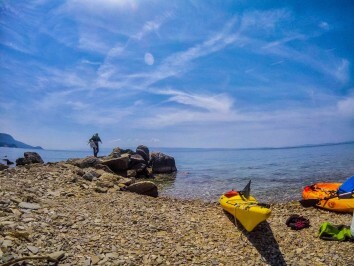 Should you have extra time in Croatia, I provided some great add on ideas for you, enough for another week and beyond! What’s Driving in Croatia Like? TIME: I was here during the months of May and June. 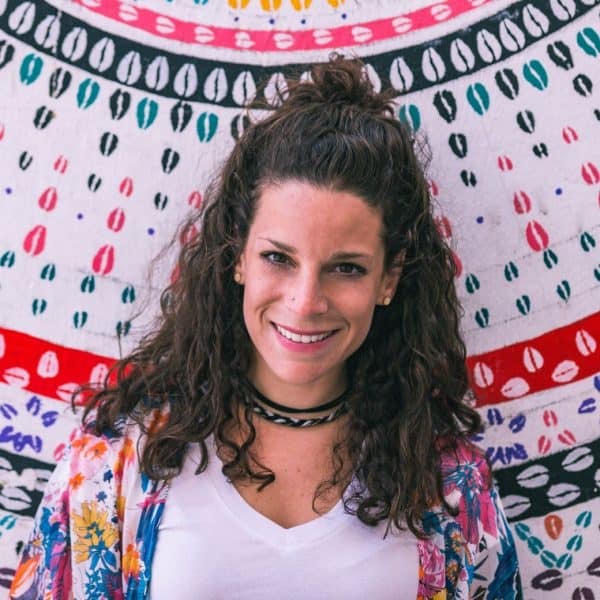 AKA shoulder season – my fav time to travel anywhere. 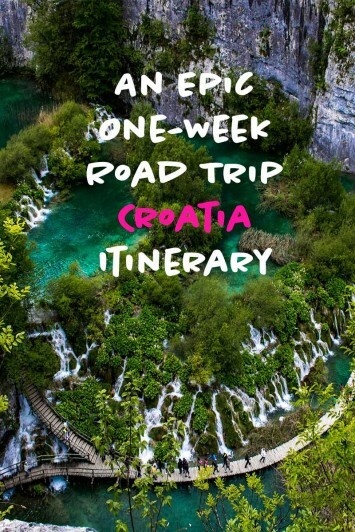 At you will need at least 1 week in Croatia to complete this itinerary. A background on this trip: Just so everyone knows, this trip was slightly different for me than what I present here for you. I initially went to Croatia with Garrett and his family for a few days but he and I went on our own mini-adventure so his parents could enjoy a bit by themselves. We went from Zadar to Pula to Plitvice. I then was invited to Romania for a press trip. 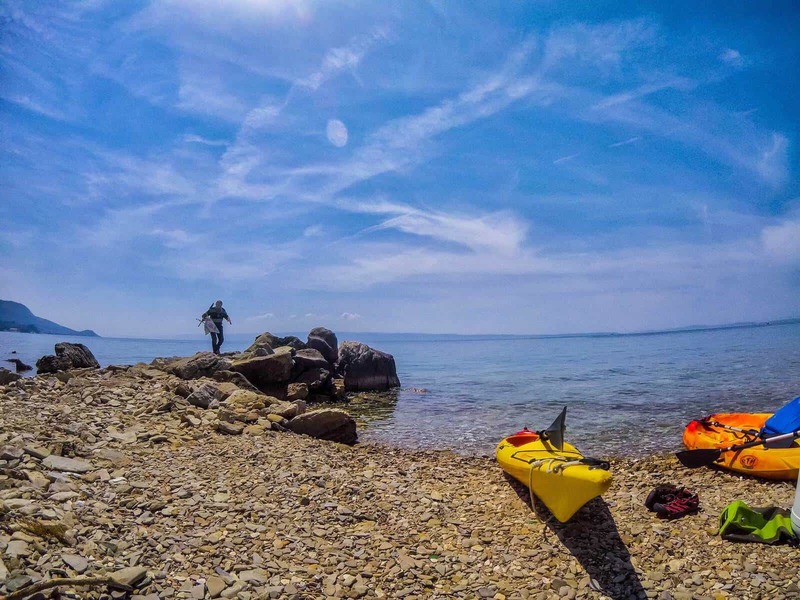 I came back to Croatia and landed in Split a few weeks later and continued my adventure. So for me, this trip was split up a bit and I was here for more than 7 days but I just went ahead and smashed it together for an epic 7 days in Croatia adventure for someone who doesn’t have a crazy travel schedule like I do! 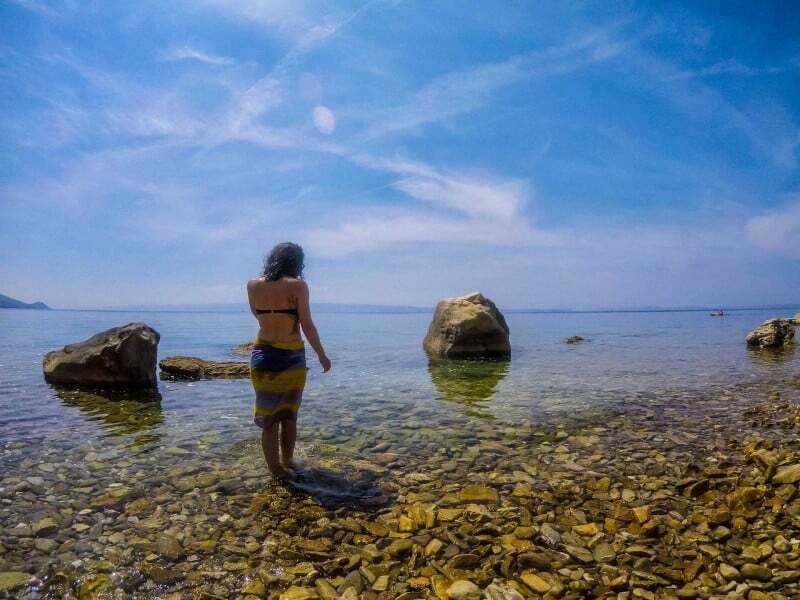 Once I got to Split on the second leg of my Croatia adventure I was traveling alone! Traveling solo around Croatia was totally fine and safe in my experience. I was in the Split region and went further south to Makarska and had not one bit of trouble or an ounce of fear in me in the slightest. I also don’t care to go out at night, which helps. But as a solo female, I can say Croatia is pretty safe and driving in Croatia as a solo female was easy and fine in my experience. Zadar is an excellent and easy first day to start your adventure around Croatia. If you’re like me and LOVE viewpoints and want the best intro to a place, then clamber up the Bell Tower. It’s the tallest building in town and is easy to find. From up top, you’ll see pastel and whitewashed abodes adorned with salmon colored tops and just beyond, the bluest of blue seas. This is Zadar, quaint, cute, and good way to introduce yourself to Croatia as it’s not an overwhelming city in the slightest. 360 views of Zadar from up here! 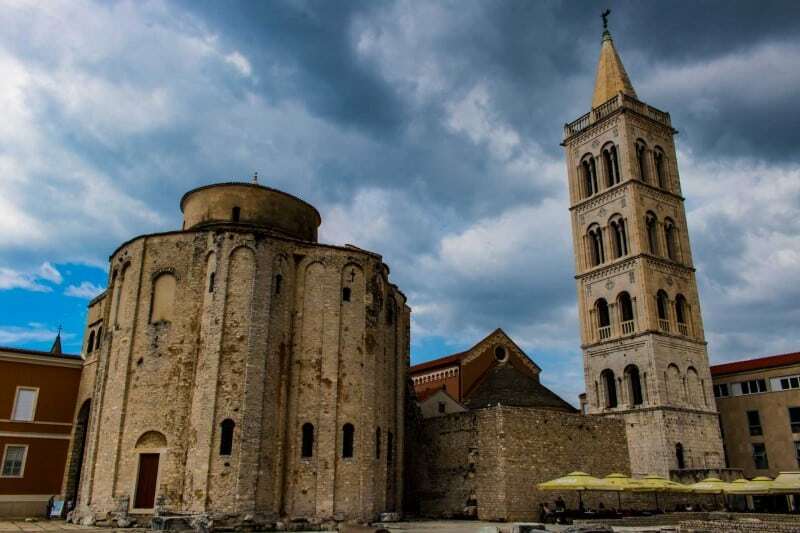 The rest of the day you may spend exploring the area just below the Bell Tower, the Church of Donatus and St Chrysogonus, and the Zadar Cathedral. There’s also a small park with some historical buildings, just walk along the boardwalk enjoying the breeze as you make your way there. As night approaches, your visit wouldn’t be complete if you didn’t hear the sounds of the waves crashing up against the Sea Organ, one could sit here for hours mesmerized by the sound of the echoing water in the large marble steps. The Monument to the Sun is kinda trippy! Just behind the Sea Organ is the Monument to the Sun where you can prance on a solar-lit circle as lights twinkle beneath your feet. This monument symbolizes our communication with the sun while the Sea Organ aims to represent our communication with sound. 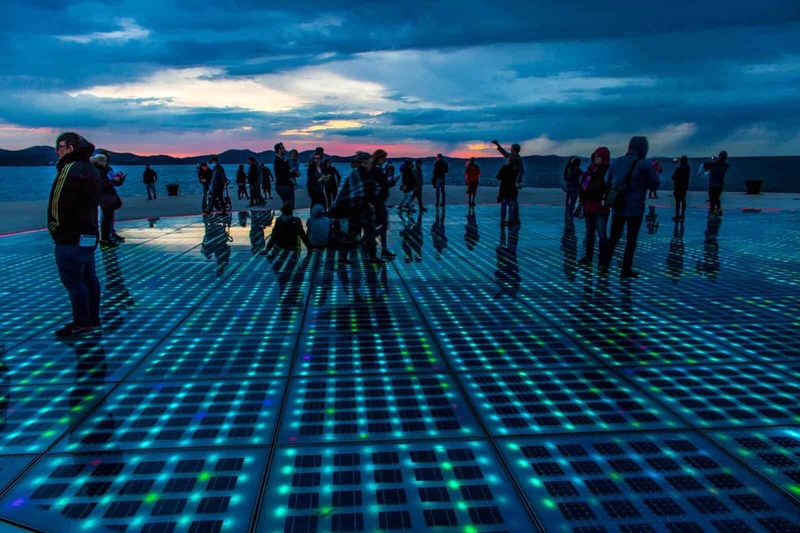 These two spots are some of the highlights of Zadar. I hope that Sea Organ didn’t put you into a trance that caused you to oversleep because today you should wake up early so you can hit the road. There’s a four-hour drive ahead as you’re Pula bound for the day. The drive itself is incredible with sprawling mountains tops with fluffy clouds billowing around the tops, coastal views for miles and miles, and charming hillsides lined with whitewashed and pastel-drenched dwellings and winding side streets. The countryside you’ll drive through on your Croatia road trip—Pula Bound! 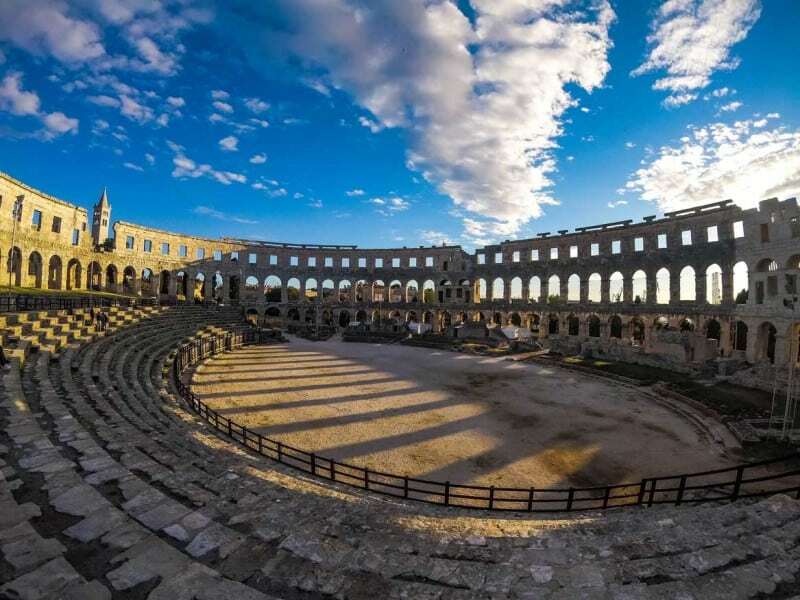 When you finally make it to Pula, the star of the show is the remarkable Roman amphitheater, Pula Arena. You will certainly be gobsmacked by not only its beauty but its incredible preservation. It’s one of the best-preserved pieces of Roman architecture on our planet today. There’s not really anything I can say to describe what it’s like to sit in this arena. As one would guess, this arena was used for combat, usually by individuals who were sentenced to death however wild animals were forbidden. Now, this spot is for tourists to enjoy the antiquity, or if they are lucky enough, they can even catch a concert! How epic would it be to perform here!? TIP: Go later in the day, about an hour or two before it closes. There will hardly be anyone around and all the tours will be long gone. Since there’s a lot of driving today, you might only get to see the Pula Arena. If you have an extra day, I’d suggest staying in Pula the next day and enjoying a bit more. There are more architectural wonders like the Arch of the Sergii and the Temple of Augustus. Should you want to relax a bit, there are beaches such a Bijeca and the islands of Brijuni. And if you have even more time, I was dying to at least spend a day in Rovinj, which is less than an hour away from Pula! 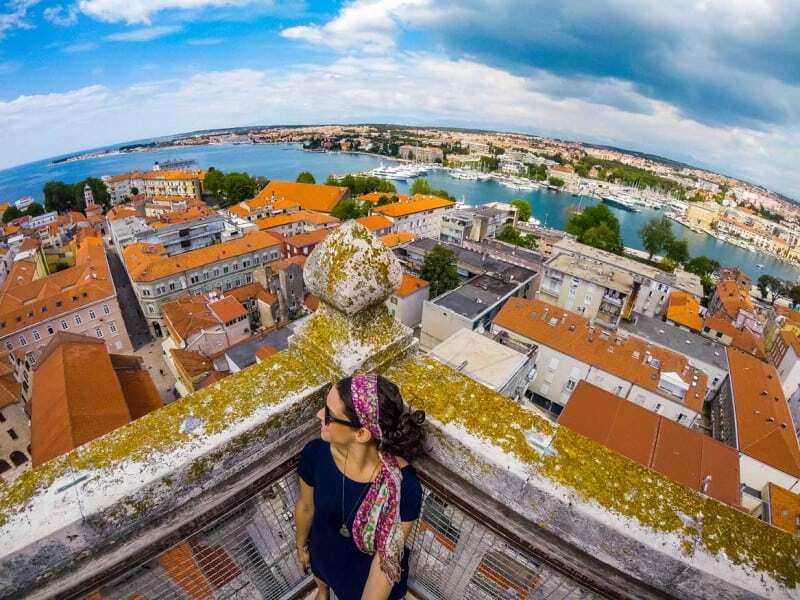 ALTERNATIVE: You could start this itinerary in Pula which would save a bit of time and backtracking but considering the airport is pretty tiny and flights would be more expensive, I started in Zadar and went up to Pula, then came back down. Set that alarm because it’s another day out on the road! Luckily it won’t be half as far as yesterday. Today, you chase waterfalls all day. Excited? You should be! 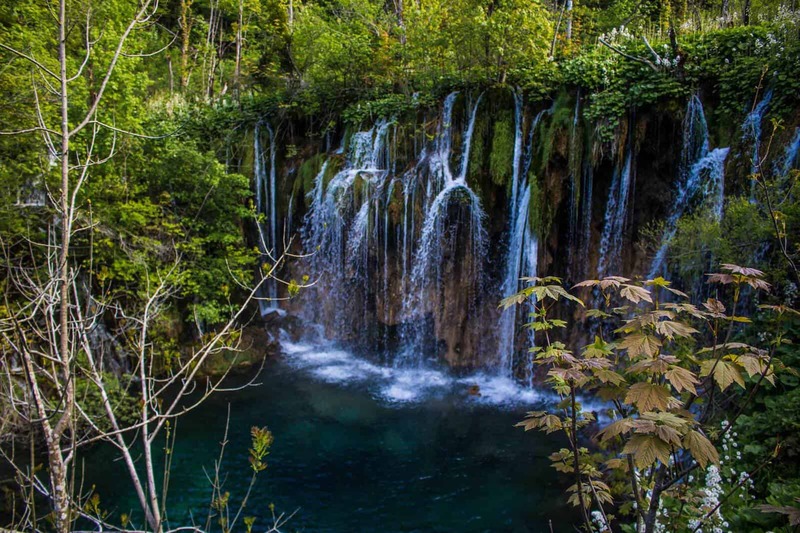 This is one of the iconic shots of Croatia that you have surely seen in a viral video, a postcard, or even just simple Googling Croatia… Get ready for Plitvice Lakes National Park. One of the places that really does live up to its hype. It’s freaking beautiful! There’s not too much to say about the place itself because the pictures, and of course seeing it in person, does all the “talking.” It’s beautiful, phenomenal, breathtaking, MAGICAL… Can you not see it?! I felt like unicorns were going to pop out from behind the falls and majestically gallop down the wooden pathway! But I do have something to say in the form of tips so you can experience this place in the best possible way. 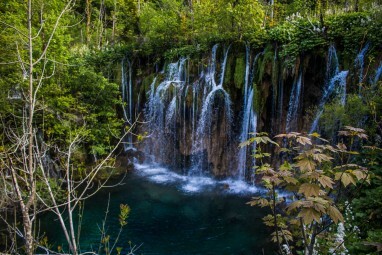 Plitvice is the most popular thing to do on a Croatia itinerary but totally worth it. It’s no surprise that the iconic place of a country will, of course, be busy. There’s no question that there will be crowds at nearly any time of the year. I went in during shoulder season and it was still quite busy, I can’t imagine this place during high season. Be careful with going during high season. People have reportedly shown up only to wait in line all day and not even be let in. There’s a limit of people they can allow in! If you’re here first thing in the morning when it opens, that’s awesome. The times in between you might find it super crowded with tours trying to get in. When you get here, you might be tempted to purchase a more detailed map but it’s unnecessary. As soon as you walk past the ticket gates there will be large maps you can snap a picture of for free. To begin seeing the waterfalls when you first walk in, no less the most beautiful and most famous ones, it can be extremely tempting but I urge you to walk right past them! Yes, that’s right, keep on walking without a second glance. Walk to the first bus stop and take the bus to stop number 3. This is the very back of the park and what you’re going to do is be the badass who walks from the back to the front while EVERYONE ELSE walks from the front to the back. Pretty genius, no? This will cut down on the crowds around you and a lot of people don’t even make it to the back because they see the main falls and then go home (the back has some nice falls too!). We wanted to see it all (OK most). By the time we made it to the front where the main falls were, we had them to ourselves! It was perfect. We were some of the last people out of the park. 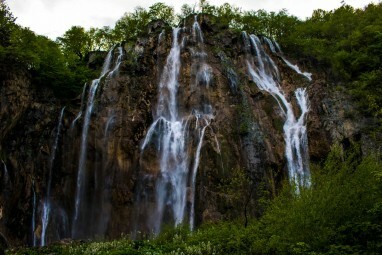 Use this Plitvice route to make the most of your time. Here are the fees for Plitvice. Prices depend on the time of year you are going. Please note parking fees are separate as well. Drive to Split after Plitvice. IF you don’t have time to drive yourself, don’t like renting vehicles or simply are cramming in a lot and want someone else to deal with the logistics, go ahead and book it now and forget about the rest! My itinerary goes straight to Split but if you have any extra time, Paklenica National Park looks like a wonderland for nature lovers. There are tons of adventure activities here like hiking and rock climbing all while set in a gorgeous mountain scene. 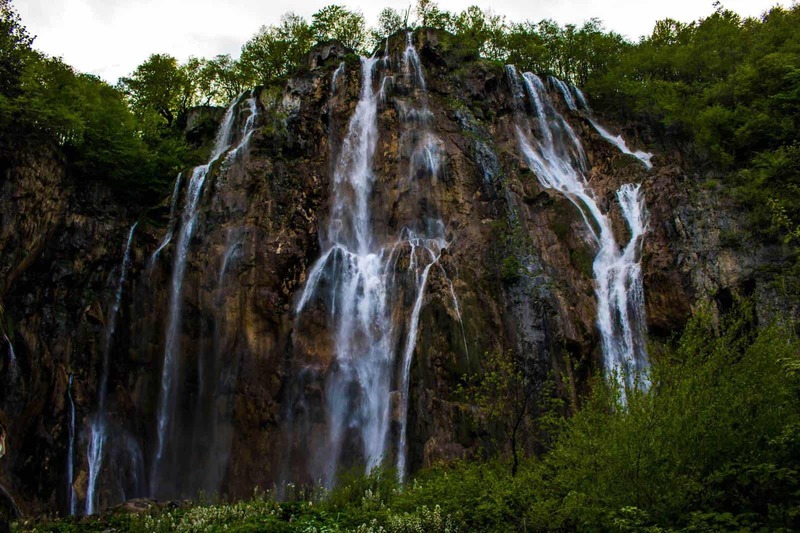 You could even pop over to Bosnia’s Una National Park for more gorgeous scenery and yet another magnificent set of waterfalls. Jeez, Balkans! You guys and your stunning nature, what a bunch of showoffs. 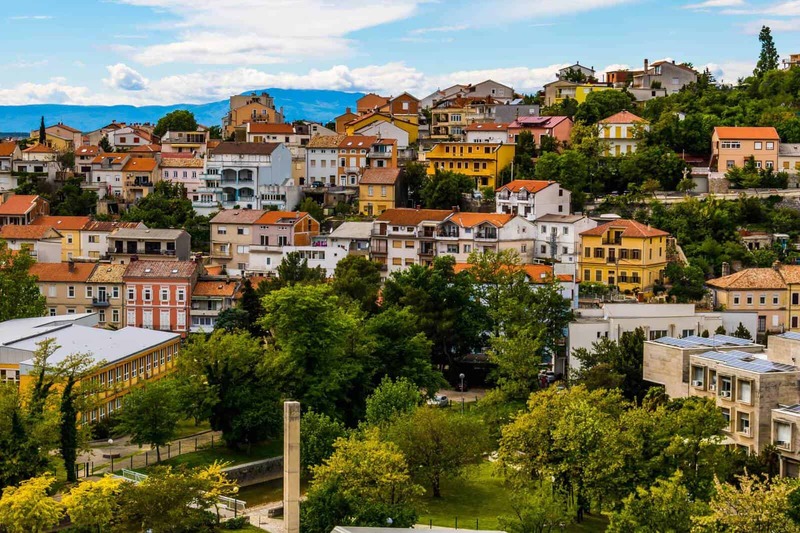 Hop over to Bosnia just for the day if that suits you better! You made it to Split! Guess what? You’re not going much further, everything else on this itinerary is around this area and no more than an hour away. We will bop around the Dalmatian Coast for the next few days enjoying the most precious slice of coastline Croatia offers. 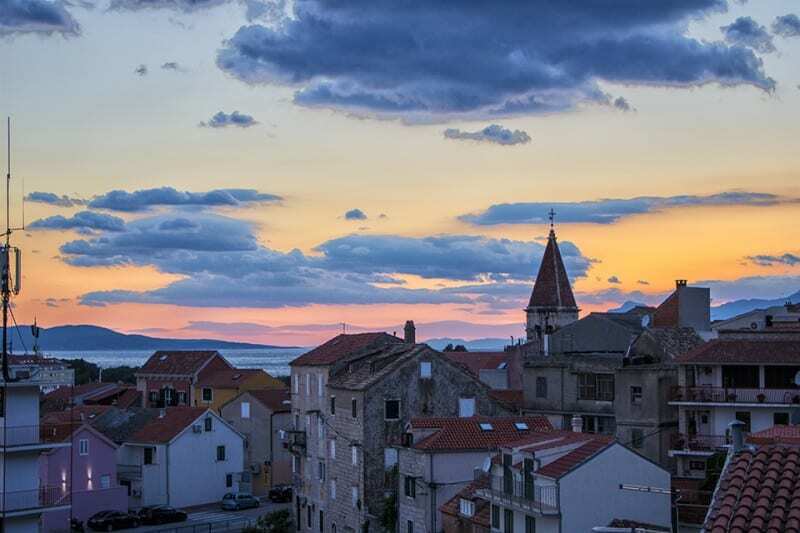 You might be tired or ready to roll and enjoy Split so depending on how you feel, take a nap in your hotel or go exploring. At the center of this vibrant city is Diocletian’s Palace which is actually more like a fortress. Today it’s full of tourists and hawker stalls selling everything under the sun. To get the low down on the history of the city you could take a short walking tour just to get the gist of what Split was before today and to get further insight. There’s a tourist office to book with just outside the Palace (in the front part that’s facing the water). There’s a big “i” as the sign. You could also give Marjan Hill a go and climb up to the top where there’s a large cross and some views of the Adriatic from up high, however, I found the views to be better from the Vidilica Cafe. Bene Beach is also right there if you need to chill for a bit. Bacvice Beach is the beach to go to that’s right in the city and here is where you’ll be able to witness some Picigin which is a special ball game that originated here in Split. There are bars that line this beach and go on to Firule Beach so sun your buns with a cocktail in hand if there’s still any daylight left. If you’re a true trooper, you might even have some energy left to go out since Split’s nightlife is pretty popping. Unfortunately (/fortunately? ), I’m in total grandma status and if I go out, there’s no way I’d be up to enjoy my day, so I skipped the nightlife here. Krka National Park, the other famous waterfall destination of Croatia, isn’t too far from here. You could rock up there for the day and splash around the falls. If you’re a bit groggy today because you’re exhausted from the trip or perhaps went out last night, I have just the thing to wake you up. This may have been the most thrilling thing I did in Croatia… I zip lined! Zip lining! 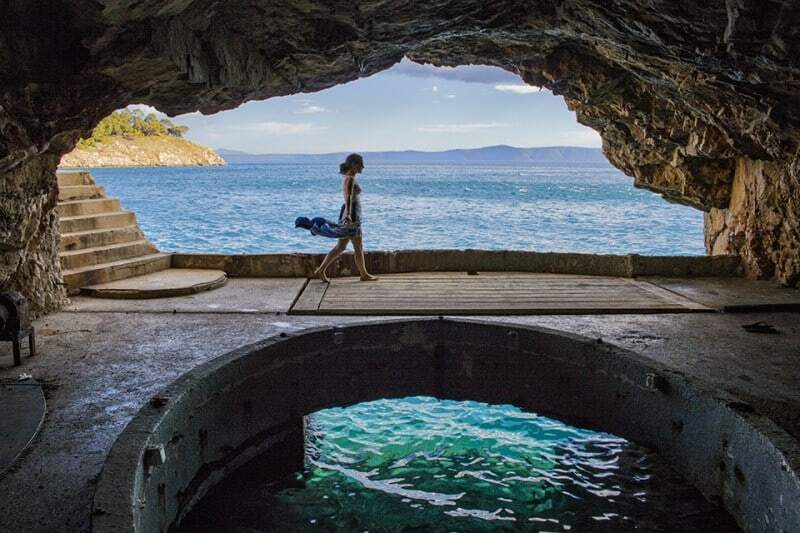 Seriously, this is a must on your Croatia itinerary if you’re around the area! It was my first time and it couldn’t have been a better introduction to zip lining. This isn’t going to be a quick zip over some treetops and then you call it a day. 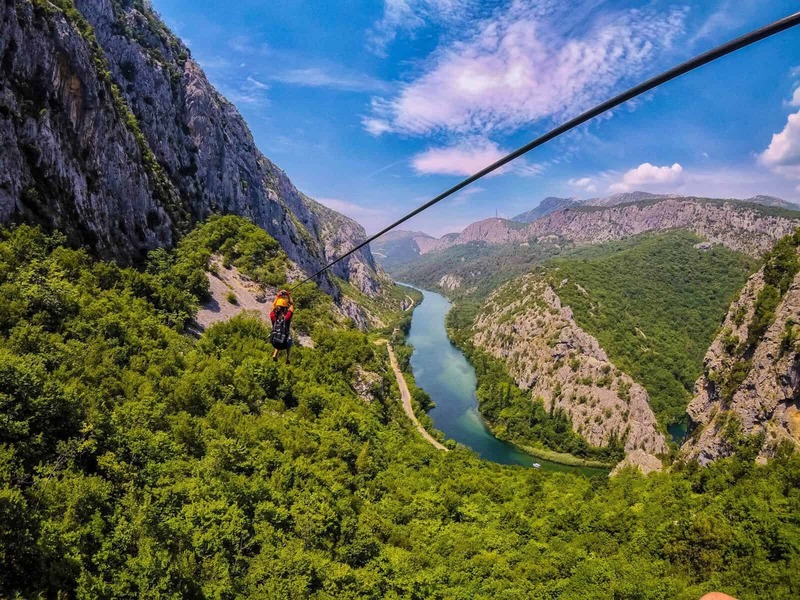 It’s a half day of clambering around mountain tops from line to line (8 in total) as you fly over the Cetina River going from mountain to mountain. It was breathtakingly beautiful and quite the adventure. You won’t be disappointed. You can book your zipline adventure here. This is the only zipline company in the area, so no need to shop around. They are uber professional and super safe! 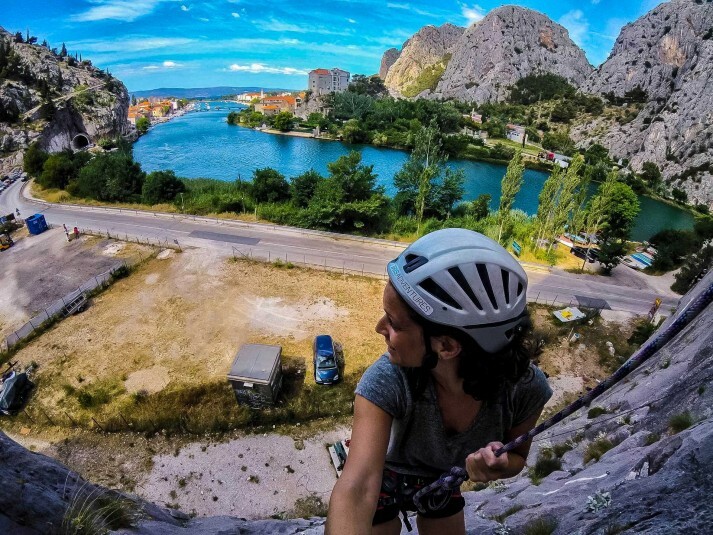 After zip lining, you won’t be far from the Omis Fortress which is perched on a mountainside overlooking Omis. I love my viewpoints, so when I saw it, I knew I had to climb it. Climb up through the forest side and up to the top, it will take about an hour or so depending on how fast you can go up a hill. The views are totally worth it! You can descend the opposite way and head into the city. I wouldn’t suggest climbing up this way as it’s mostly in the sun. If you climb up through the forest as I suggest, you will be shaded. You may also encounter a snake as I did…! 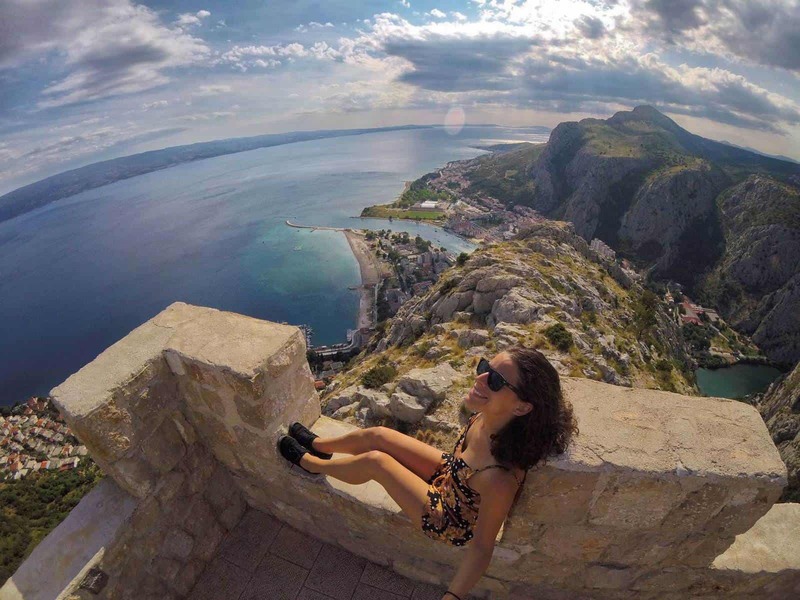 At the top of Omis Fortress—One of the best views! I’m going to leave this day up to you! I went on a few different adventures so you can choose your favorite or one that I wish I did. I went white water rafting down the Cetina River, kayaking around the coast, and rock climbing just below the Omis Fortress. Which are you up for? There is also canyoning which I only heard about after I had made some plans which sounded amazing. I have this one on the list of tours in Split to do next time. Click that link for more ideas on how to get adventurous in the area. It’s a haven for any adrenaline junky. At the end of the day, chill at the beach closest to you, there’s hardly a bad choice to make. I gave you a list of adventurous activities and already mentioned how many adventures can be had in the area. Another thing I wanted to do was climb Biokovio Mountain. You could spend the entire week here and still have things on your list. Check out that blog post above and gather your thoughts on how you want to spend your time. Sunset from my hotel in Makarska. Makarska was a bit of a surprise for me. I had one extra day and I wanted to see something else without going too far, long story short, my friend Kimmie, who knows Croatia rather well suggested Makarska and she happened to be there at the same time! It was the perfect place to chill out on my last full day. I loved roaming the quaint historical cobbled streets and laying out enjoying the hot sun as the breeze whipped my hair around. I nearly went paragliding here but unfortunately, the winds weren’t in my favor during my stay. Kimmie and I met up and pranced around Makarska with our cameras shooting each other in the most picturesque places we could find (not a hard thing to do when in Croatia…) and I went walking along a little nature trail that lines the coast and ends at Nugal, a nudist beach. GO ISLAND HOPPING! I know this may seem crazy, but if you haven’t noticed, I didn’t mention not ONE island in this itinerary. I know, it’s practically a sin to have been to Croatia and to have not stepped foot on an island but you know what? It was totally OK. The mainland is PACKED with things to do, I could have had a month just on the mainland and I still wouldn’t have seen it all. The biggest reasons I didn’t hop on an island was time and money. I didn’t want to spend the time or the money to get to an island to not be able to see much of it and actually enjoy it. I want to enjoy island life not be in a rush to catch my ferry back to the mainland to catch a flight. So that’s really the biggest reason why I skipped the islands… this time. There’s always next time and I already know I’ll be heavily focusing my next jaunt to Croatia on all the islands. Of course, exploring Dubrovnik is an obvious add-on, however, I decided to give it a miss since it’s one of those places that literally needs a break from tourists. I was bordering on high season and I seriously just didn’t want to deal. However, I know that a visit to Dubrovnik will be in order soon as it looks too good to pass up! I stayed everywhere and in all kind of places during my one week in Croatia! Budget spots to luxury residences, my trip here was a bit of an eclectic mix of accommodation. For me, I stayed at an Airbnb during my time here. Get a discount on your first Airbnb by clicking here! 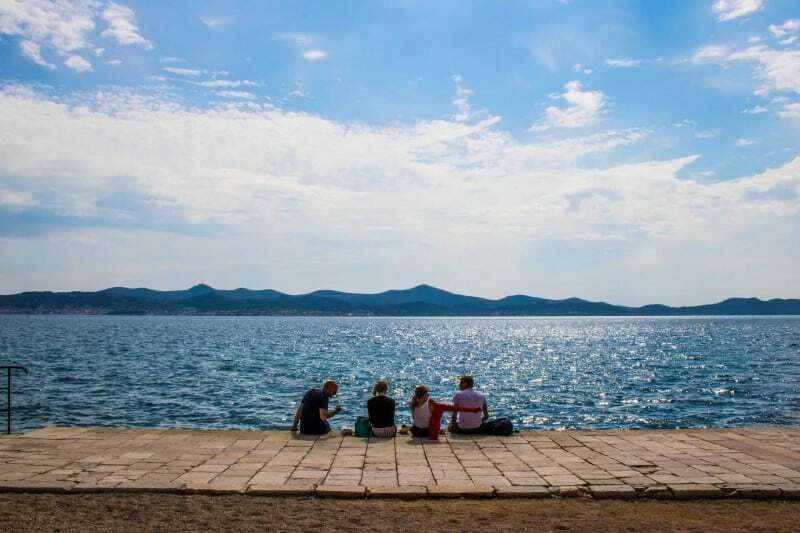 Here are some other great options for where to stay in Zadar. I can’t for the life of me find my reservation for Pula. I didn’t stay anywhere to write home about, so you’re not missing much. 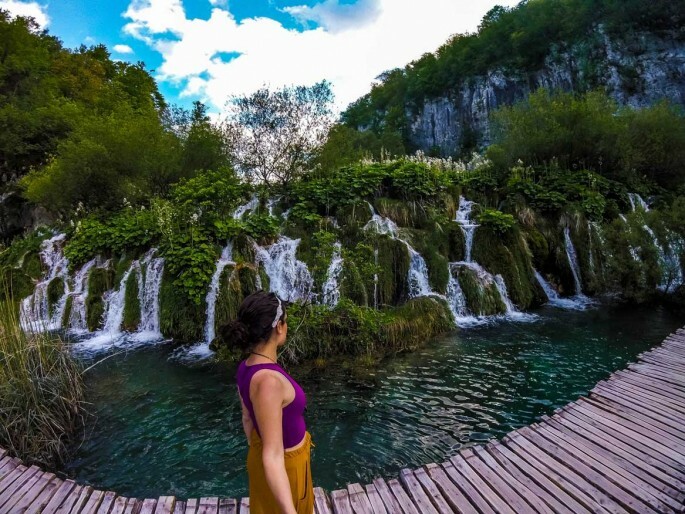 It was one night and we woke up early for Plitvice the next night so yeah, we didn’t look too hard for a nice place and just took the easiest and most budget-friendly one we could find. 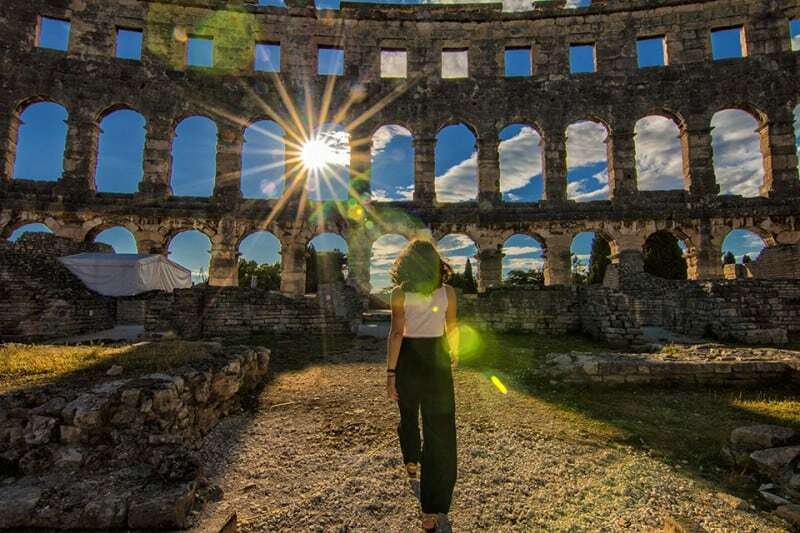 Here are some great options for where to stay in Pula. If you’re looking to splurge and treat yourself, Hotel Park is the PERFECT place to do exactly that. They have one of the most beautiful properties I’ve stepped in. The rooms are lush and complete with everything you can imagine. There’s a pool, spa and salt room, it’s walking distance to the beaches, amazing breakfast buffet… Can’t ask for much more! Not into all the luxury and are a bit more on a budget? Here are some other great options for where to stay in Split. If you’re wanting to get adventurous like my itinerary has planned for you… Stay in Omis, not Split! 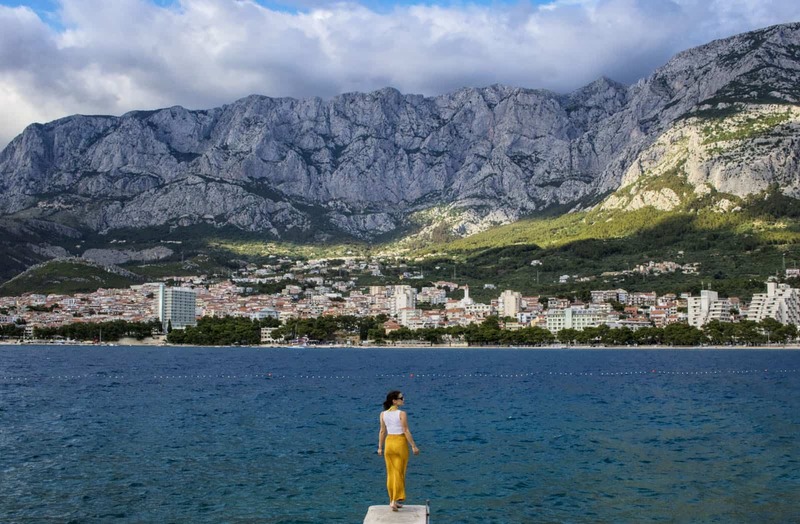 Most of the best adventures are in Omis. If you stay in Split, you’ll have to drive or get picked up to go to Omis and do your activity. If I could do it again, I would stay in Omis instead. Since I didn’t stay in Omis, here are some great options for where to stay in Omis. I ended up at Apartment Klinac. It was a pretty decent choice in terms of price and location but it wasn’t really that easy to find. Google will take you to the right spot but there’s no sign, so you’ll have to get lucky and find a neighbor to tell you the correct door. Follow Google until it says you’re there, look to the right, walk through the small gate and go to the second set of stairs up to the building. Knock on the door on the second floor to the left. Yeah… It’s weird. But it’s a great spot for a bargain! There’s a small kitchen which is always a winner for me. I had a decent view from my room and an even better view from upstairs. 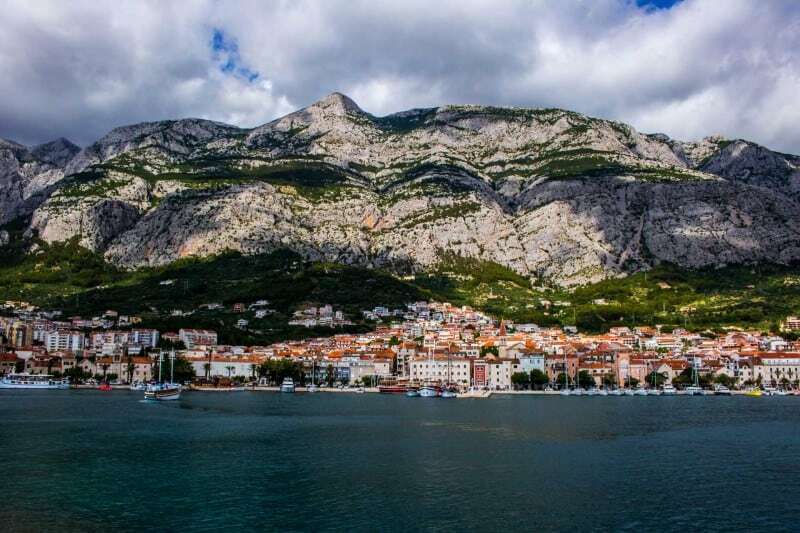 Here are some other great options for where to stay in Makarska. Some local teenagers in Zadar. Pretty regular! I felt totally safe driving around. The roads were decently maintained, the highways were fine, and the infrastructure overall made for a pretty smooth road trip! For car rental recommendations, you can check prices with Holiday Autos and Auto Europe, they often have the best deals for Europe. I’d also give Sixt rentals a check as I’ve found good deals there too! Keep your international driver’s license handy although your regular driver’s license will work. Please note, if you end up taking your rental car to Bosnia or another neighbor, you will need a green card. I read some accounts of people being a little crazy on the road but I didn’t see much of that when I was here. Maybe I’m a bit of a crazy driver myself soooo yeah… I didn’t think others were being that crazy. Some will speed and maybe not pay attention to the road signs as much but I see this everywhere. Either way, I think if you have experience driving at home, you’ll be fine. Automatic or manual? Most will be manual, which I know how to drive, so I was happy with that. If you don’t drive a manual, make sure to book further in advance as availability will be slimmer and definitely be prepared to pay extra. Carry some cash! Driving in Croatia will incur some fees on the toll roads so don’t be stuck without cash. Make sure you talk with your car rental associate about the type of gas your vehicle needs, you DON’T want to confuse diesel and petrol! EMERGENCY NUMBERS: Croatian Auto Club Emergency Service on 987 and Police 192. Driving and parking in Split is kind of crappy. I found that I didn’t even drive when I was hanging around Split, I walked or caught an Uber because it would have taken longer for me to actually find parking (and would cost money!) I only drove in Split if I was going to Omis or somewhere outside. I’m sure some other cities, should you explore further, will have similar problems… Dubrovnik, Zagreb… I’d definitely think twice before getting a car in these spots. Croatia is a such a show-off! We get it, you’re gorgeous! So what do we think? 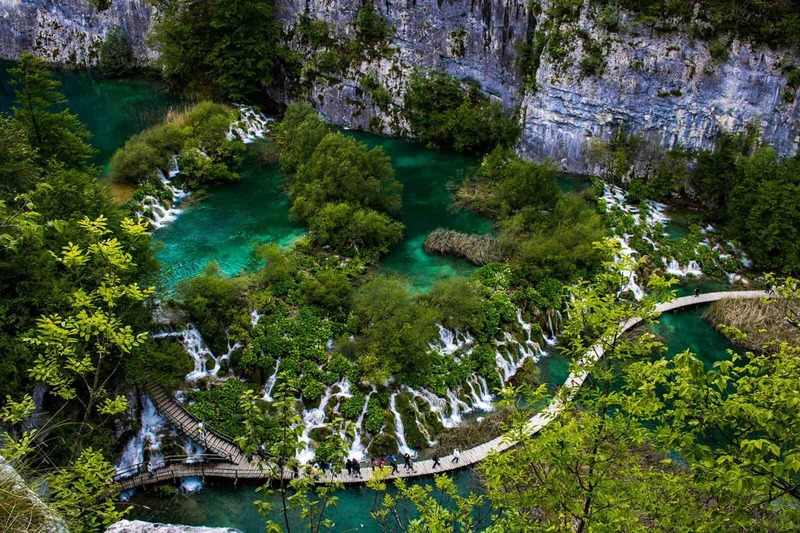 How amazing does this Croatia Itinerary sound to you? 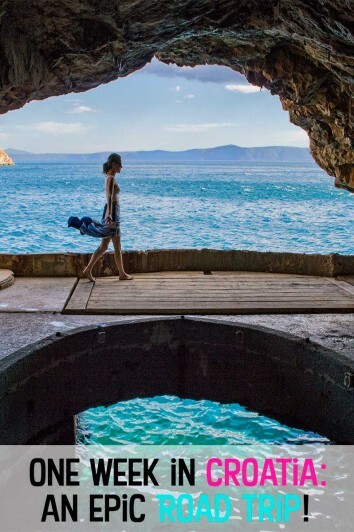 Of course, there are endless possibilities for you when you’re driving around the country, so hopefully, some of my add-ons will inspire you to stay a bit longer to check out more of what Croatia offers. I fell in love… And my heart is tugging me back there already! Which part of this Croatia road trip are you most excited for? 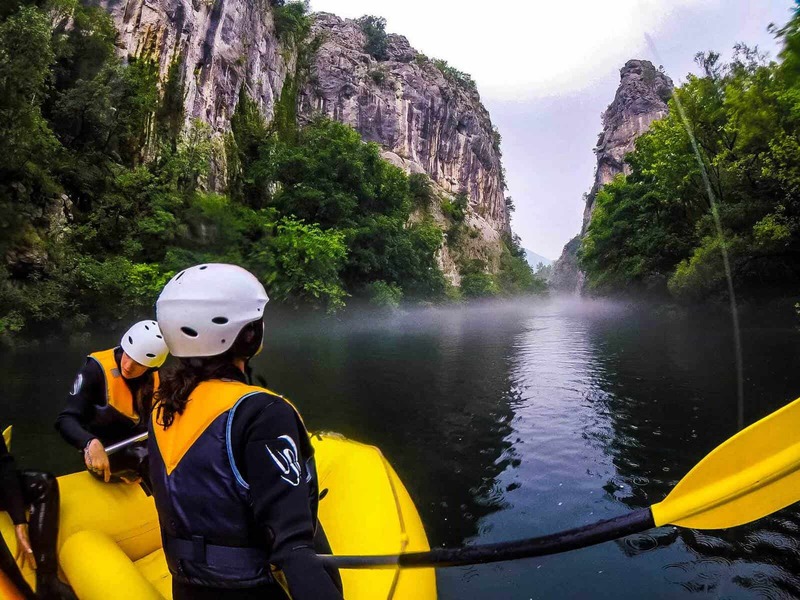 If you missed it, here’s where you can catch some more intrepid activities around Split and Omis. Should you be off and away to Croatia’s lesser-known neighbor, Montenegro, I’d check out these incredible pictures and extend your stay in the Balkans for a week in Montenegro! Why not take a jaunt to Bosnia while you’re in the ‘hood? Or maybe Romania? Disclaimer: PART of my time in Croatia was sponsored by Croatia Full of Life, the National Tourism Board. As always and forever – All opinions are mine and mine only with zero bias. I say “NO” to BS and bias! Honestly one of the most beautiful posts on Croatia. Your photos are so full of joy! Going back for a second time in May, reading up on all the places we had to skip last time. Cheers. Admirable!!! Such an amazing post with the bunch of touching pics. Seems like something adventurous. Thanks a lot for sharing your moments. Keep posting, looking forward for more. Good choice, there is so much to Croatia. One of the most beautiful countries I have ever visited. Visiting the islands of Brac , Hvar, Vis. Korcula and then ending in. Dubrovnik is an awesome trip in itself and would be a great 9 to 14 day itinetary . Possibly the best parts of Croatia. You went to Pula in Istria but this region is also stunning, google Rovinj, Motovun, Opatilja. 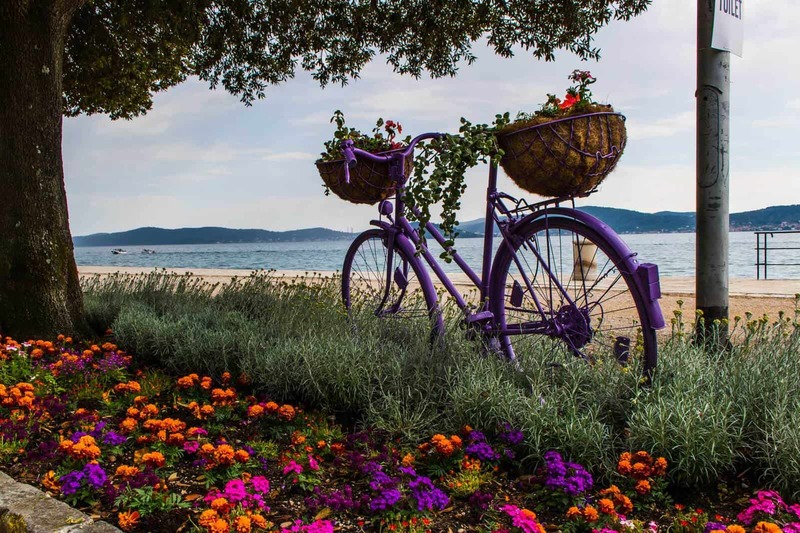 A few other hidden treasures are the Island of Losinj, Island Murter and the beautiful town of Betina, Sibenik town and the Krka falls. 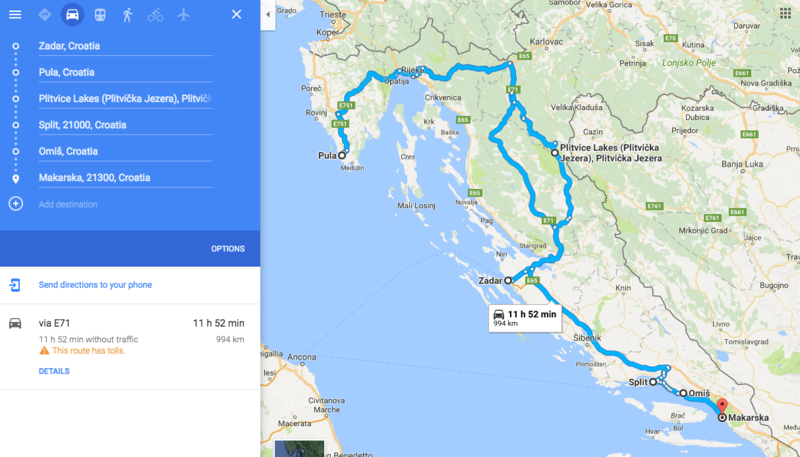 I Love Tips on driving in Croatia on this post ! Thanks a lot for sharing this amazing post ! Driving and parking in Split is kind of crappy?? Yeah, parking in Split is just a bit crowded and it was hard to find parking even at my hotel. Everyone recommended that I didn’t drive in the city bc of it, plus everything isn’t that far to begin with, so spending time finding parking (free at that) wasn’t really how I wanted to spend my time.